Solid state drive, also know as SSD, is a storage gadget that stores non-volatile information with the use of solid-state memory. This memory consists of electronic components that are based on semiconductors. Since these drives don’t have any moving parts, they help reduce the risk of mechanical failures. They can also endure high attitude, extreme shock, drops and other insensitive operation environments. The SSD is quite similar to the computer memory that already exists in your laptop or netbook. Migrating OS to Solid state drive (SSD) is becoming more popular because of the actual speed, low power consumption, and the compact form SSD offers. If you also plan to replace your converted disk and you want to migrate your operating system to SSD, there are ways to go. How to Migrate OS to SSD with Little Fuss and Bother? No matter whether you want to migrate from Windows 7, Vista or from XP to SSD, you can not move the operating system and hundreds of gigabytes of data on a huge volume just by copying and pasting. If the capacity of your SSD is not greater than the old hard disk, the best solution is to separate the operating system and perform SSD migration with a special utility that can complete this work without risk of data loss. For the special SSD migration tool, You can try EaseUS Partition Master, one of the best SSD cloning tools. It allows you to transfer operating system to SSD with all the original personal settings, and you can also keep your applications if you have a requirement. Download and install the appropriate version of EaseUS Partition Master on your computer. Connect your SSD to to computer and select it as the destination disk. Then this program will require to remove partitions on your SSD. Click “Yes”. Repartition the SSD and hit “OK”. In Pending Operations panel, preview the result. When there is no problem, tap on “Apply” button. If you want to use the built-in Windows tool to migrate the OS to an SSD, you must create a system image and then restore the system to the SSD. Then, remove the old hard drive to verify that the SSD is working properly, and then Format the previous system partition in Windows PE mode. Why Should You Move OS to SSD? Extremely High Speed: A solid state drive gives your personal computer the boost it requires to run at maximum performance. In contrast to OS, SSD can perform operations over 2000 times faster! The speed of your data drive directly impacts every process on a computer. With the SSD you will spend far less time waiting around for data to copy or even a document to open. Additionally , your typically used programs will operate much more quickly. If you run several programs at once and your machine runs out of RAM, it will automatically use your hard disk for non permanent storage by way of a course of action called Virtual memory. Simply because hard drives are considerably slower than RAM, your machine will encounter conspicuous slowdown and may even freeze up entirely. An SSD will eradicate these freezes as it is much faster when compared with a hard disk drive. Stellar Dependability: A normal PC hard disk sports a rotating platter that revolves more than 5000 times per minute. If the PC is moved when the platter is spinning, the intricate pieces of the disk could be damaged, resulting in data loss. A solid-state drive doesn’t have any moving parts. It includes only sturdily constructed chips that will withstand far greater levels of mistreatment. Lower Mass: An SSD will lessen the weight of a computer in comparison to a traditional hard drive. Even the fastest SSD is less heavy than hard disks. Higher performance hard disks are even heavier than low-end hard drive, but cannot contend with solid state drives regarding quickness. Silent Operation: Since there are no moving pieces you simply won’t encounter any pops and whirring noises of conventional drives. This makes an SSD ideal for audio recording applications in which a minimal noise floor is highly valued. It will likewise allow you to maintain focus while doing work, playing games or enjoying your favorite tunes. Forget about Defragmention: Conventional hard disks have to go through an annoying practice known as defragmentation regularly to work efficiently. With solid-state drives, defragmentation can be put to reset. Enjoy your additional leisure time. 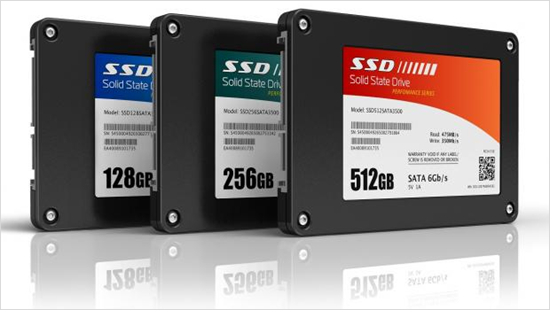 Available within Your Budget: The prices on SSD have plummeted. Amazingly fast SSD is currently possible to buy and not costly. Even spanking new desktops will acquire a huge performance enhancement by switching to SSD as the disk drive is frequently the bottleneck holding back one’s system. In most cases, an inexpensive SSD upgrade can lead to a more significant overall performance increase than purchasing a costly new computer. MBR vs GPT: Which One is Better?